Preheat your Yoder Smokers YS640 to 400ºF. Season your chicken breasts with Cattleman’s Grill Italiano Seasoning and grill at 400ºF until internal temperature reaches 160ºF (check the temperature using an instant read thermometer like the Maverick PT-100). Rest five minutes. Dice. 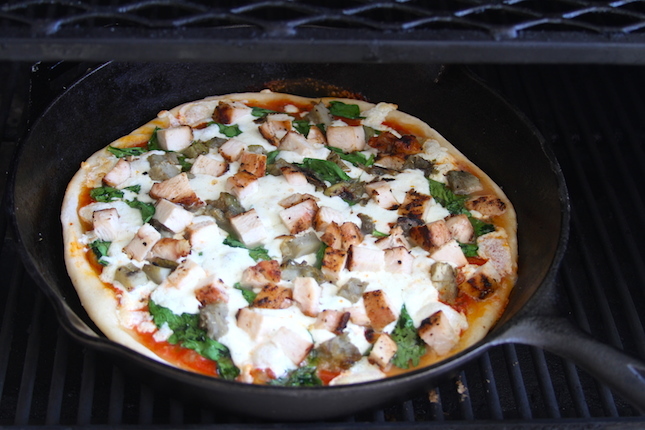 Assemble pizza: Increase your cooker to 475ºF. 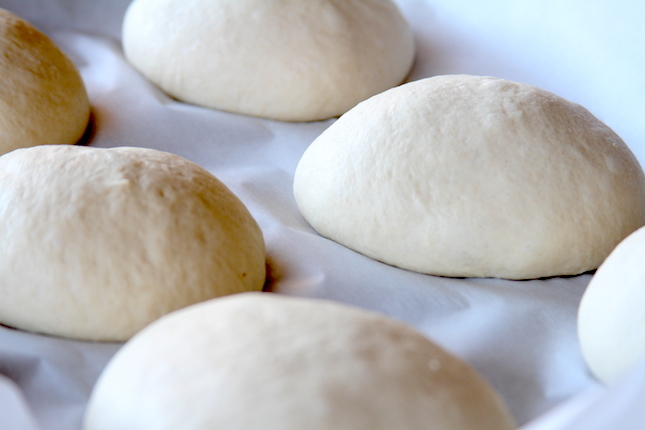 Stretch the dough to 14 inches. Place in an oiled 12” Lodge Cast Iron Skillet. Brush the crust with olive oil. Spread a layer of pizza sauce over the dough. Top sauce with spinach, then mozzarella, then diced grilled artichoke and chicken breast. Bake at 475ºF until dough is cooked through, about 20 minutes. -Combine all ingredients in a stand mixer. Mix until all flour is incorporated, then a minute longer. Place in an oiled bowl. Let rise until doubled in size. Divide in 3 or 4 pieces. Roll into balls. Let rest at least thirty minutes before stretching/rolling. -Combine ingredients. Bring to a simmer. Taste and adjust seasoning.